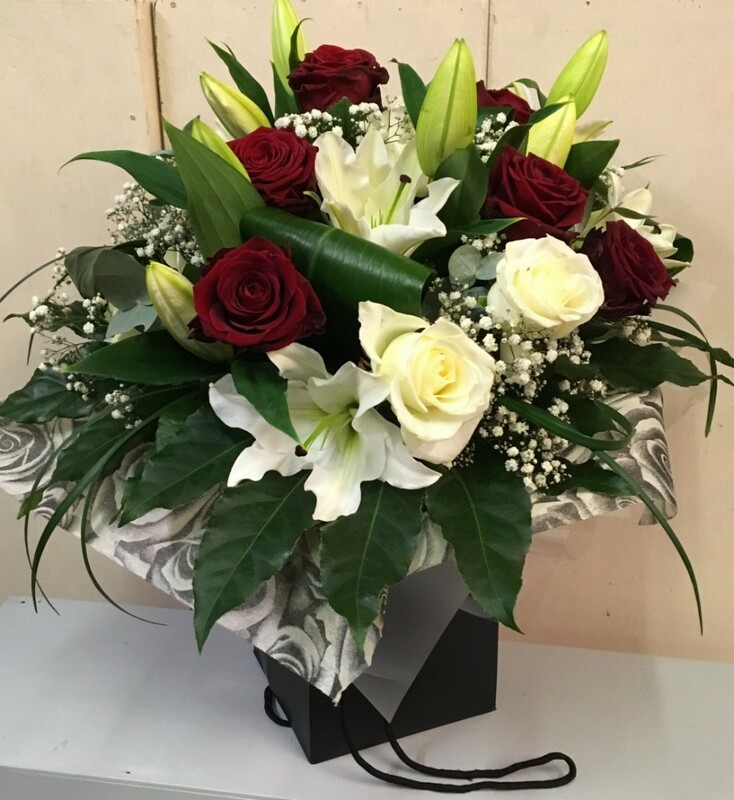 Six Red Naomi Roses and six luxury white roses are complimented with white oriental Lilies and gypsophilia to complete this stunning bouquet. The handtied bouquet will be aqua packed and presented in a gift bag. Flowerscene are delighted to present this bouquet for delivery in Aberdeen and surrounding areas. Same day delivery may be available for orders received by 2pm local time.